The Flite Test 3-Pack Speed Build Kit is a great primer for those interested in scratch building! 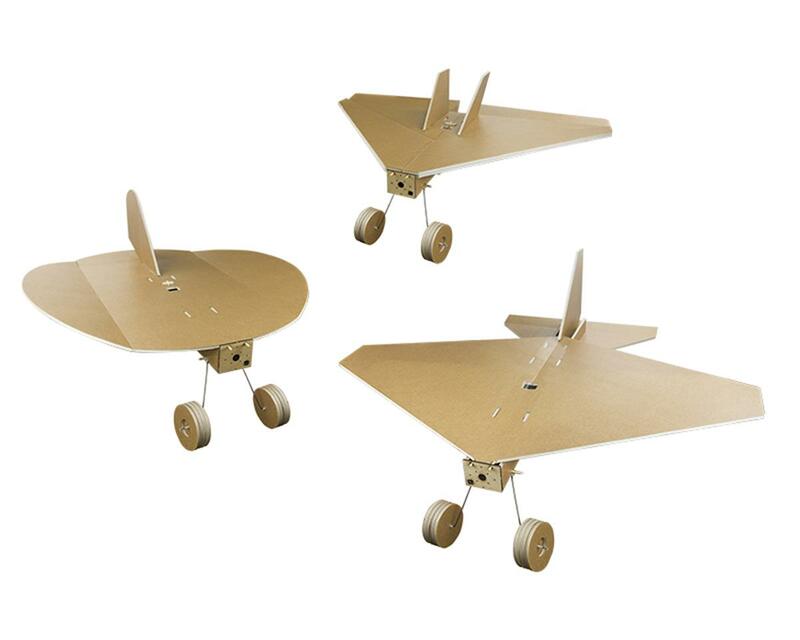 This package includes all the parts needed to build 3 complete swappable airframes. This kit includes parts for the FT Flyer, FT Nutball and FT Delta... all laser-cut from 5mm paper reinforced depron foam. Talk about easy builds that perform! The FT Flyer is a blast and has great control. This is the way to learn to fly- very inexpensive and 30-45 min build and you're off! I found that adding simple landing gear (I use .051 wire and pingpong balls), provides just enough drag on front to keep nose level and allow greater speeds. My FT Delta flies like a low-wing plane and stunts are a blast. I think these are a great starting point for entry into the hobby, yet experienced Pilots can have a lot of fun playing with these.